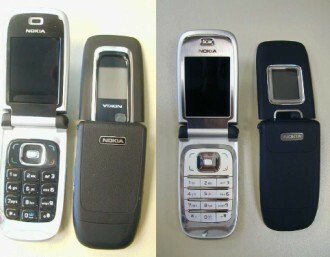 MobileWhack reports that the FCC has approved 2 new Nokia's which could possibly be upgrades to the 6126 and 6133. Both the 6126H and 6133H are compatible with GSM 850/900/1800/1900 MHz and weigh 110 grams. Price and carrier availability has not been determined as of yet. E62 has just been released by Nokia and Rogers in CANADA. Thanks Horia! I've posted the news.